Once anti-D antibodies are detected the father’s RhD type should be determined. Significant hemolysis does not occur with anti-D concentrations ≤≤ 4 iu/ml and there is no need for intervention. Antibody testing should be repeated monthly to 28 weeks and fortnightly thereafter. Above 4 iu/ml there is a risk of anemia but this is not accurately predicted by anti-D concentration; between 4 and 15 iu/ml mild to moderate anemia, requiring postnatal transfusion, may occur but severe anemia (hemoglobin < 7 g/dl) is uncommon. Above 15 iu/ml, and particularly in the presence of rapidly rising levels, the risk of severe anemia has been reported to be as high as 50%. 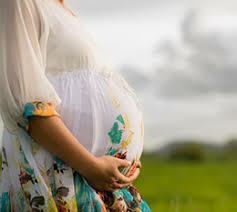 Where there is a risk of significant hemolysis and the partner is heterozygous for the RhD antigen, the fetal RhD genotype can be predicted using real-time PCR on cell-free fetal DNA within the maternal circulation. In women with anti-D > 4 iu/ml and an RhD-positive fetus, the risk of fetal anemia is assessed by ultrasonographic measurement of cerebral peak systolic blood flow; the sensitivity of an increased peak velocity of systolic blood flow for severe fetal anemia is ∼100% with a FPR of 12% (positive LR 8.5, 95% CI 4.7–15.6, negative LR 0.02, 95% CI 0.00– 0.25). This increase in peak velocity is likely to be a result of increased cardiac output and/or reduced blood visocity.